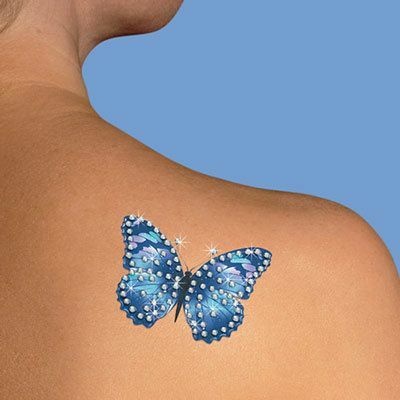 There's no need to make it permanent with our fun temporary Blingy Butterfly Tattoo! The life-like shape and hues of this playful butterfly can be accented with stick-on faux clear gems (included) for extra pizzazz. Easy to apply and remove. 2¼"h, 3"w.